CityPlace’s pop-up Christmas cocktail bar by Death or Glory is where you find Santa this holiday hanging out when he’s off the clock and jonesing for a drink. Miracle on Rosemary also serves an array of bar food with chuckle-worthy Christmas names you might want to try. If you’ve been thinking West Palm Beach feels just a bit more merry this year, you’re not going crazy. It’s probably just the gaudy lights of CityPlace’s newest addition, Miracle on Rosemary by Death or Glory, flickering to high heaven. 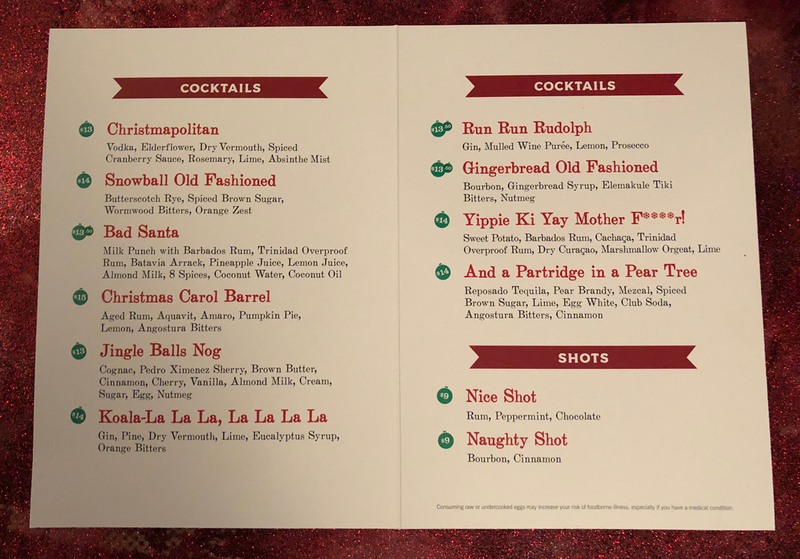 No bah humbugging here—this over-the-top Christmas cocktail pop-up could imbue even the grouchiest Grinch’s heart with the joy of the season. 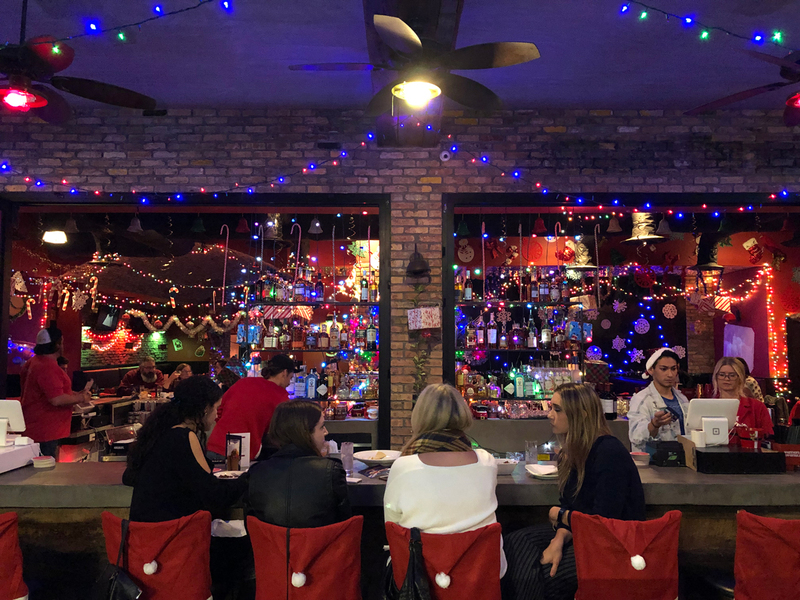 Located in the former Burger & Beer Joint space beneath Blue Martini, Death or Glory’s team transformed an empty shell into the kind of dive where Santa would hang out when he’s off the clock and jonesing for a drink. Festive and tacky in the best of ways, it’s the kind of place you, too, would hope to end up with your elves after dealing with way too many naughty-list children. I like to say it’s where Christmas threw up. One night you can count on toasting to Yuletide with Bad Santa is CityPlace’s Ugly Holiday Sweater Crawl on Saturday, December 8th. 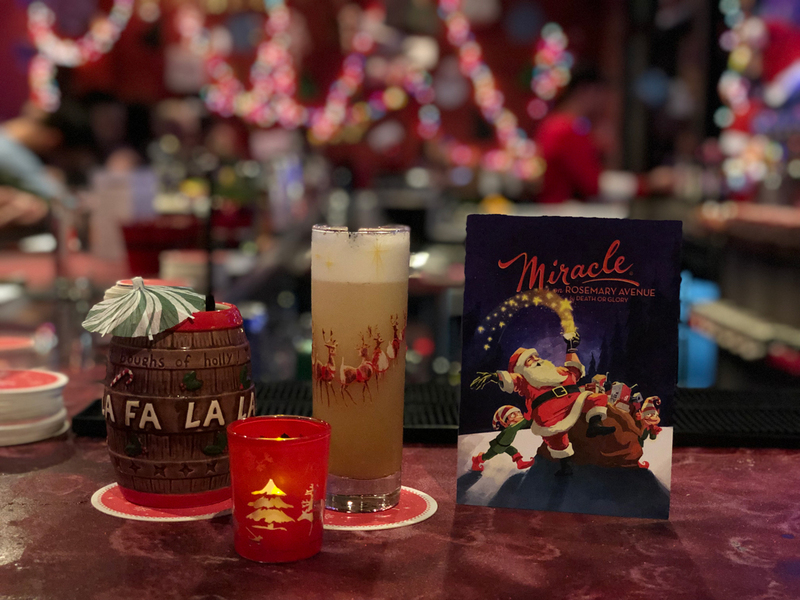 For a chance to have Santa pour you a drink, make sure to stop by Miracle on Rosemary, where you’ll find Santa’s sack hiding a portable keg with a cocktail on tap. David Bouchard, Death or Glory’s Beverage Director, casts his vote with the And a Partridge in a Pear Tree. “The term is kind of an oxymoron,” he explains. “They’re two completely different things; you’ll never find them in the same place whatsoever. So when they came up with the cocktail, they tried to take things that you would never see together, and it just works really well.” The cocktail is a medley of ingredients: reposado tequila, pear brandy, mezcal, spiced brown sugar, lime, Angostura bitters, cinnamon, and egg white foam. For the physiological wherewithal to be able to try multiple Christmas cocktails, Miracle on Rosemary also serves an array of bar food with chuckle-worthy Christmas names. 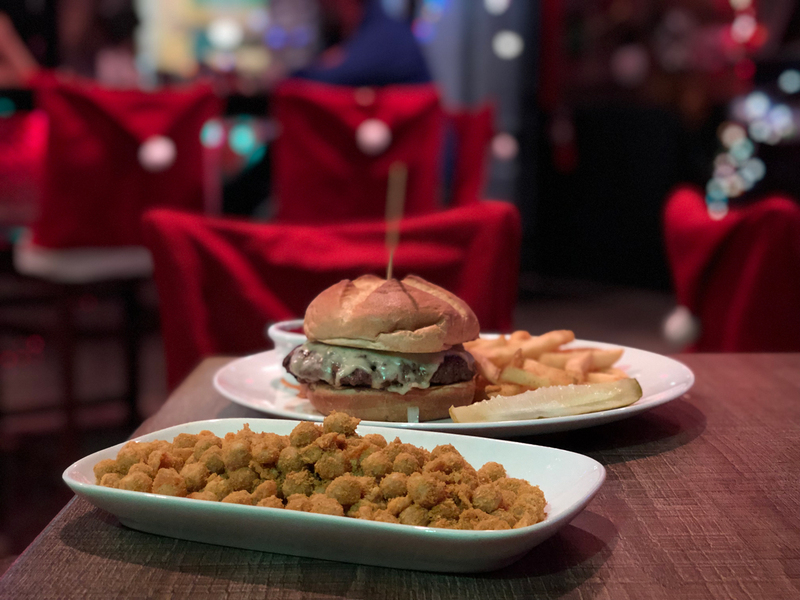 My husband and I ordered based on Blake’s recommendations and split the Fat Santa cheeseburger and a plate of the Yellow Snowballs—crispy chick peas coated in a cheesy “Cheeto” seasoning. “You could eat a thousand of them!” Blake exclaims. “They’re just so good.” I ended up departing with a take-home box full of them, so it’s safe to say I’m in full agreement. Round out your meal with the O Christmas Tree peppermint dark chocolate bark or the Yule Logs (churros with Christmas spices) for dessert. And if you’re not afraid of a little coal in your stocking, order a round of shots—they come in Naughty or Nice.